Add shimmer and sparkle to your home with the new BAILLIE chandelier. This beautiful crystal and soft gold fixture will add a touch of glamour to any setting. 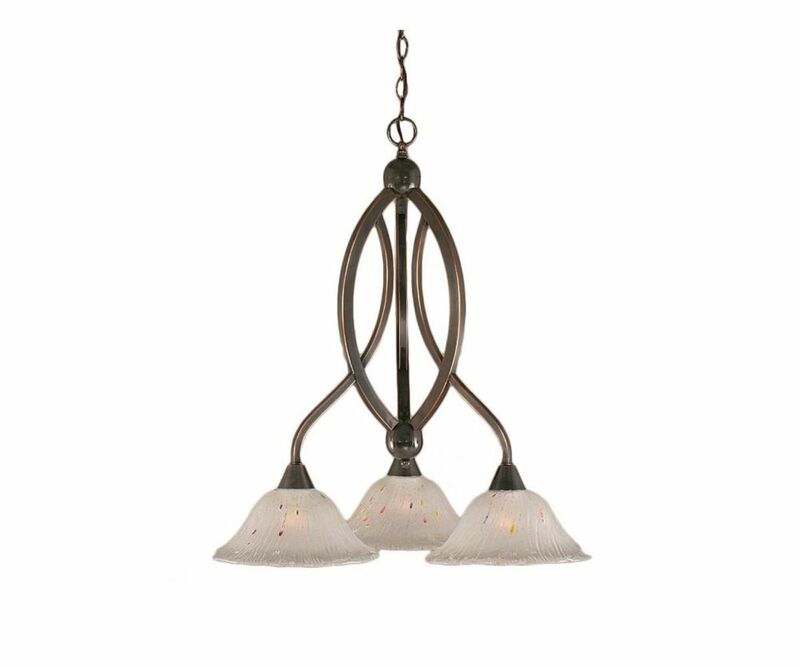 This transitional inspired chandelier is a mix of sophistication and warmth. The gold finish is making a comeback. This is an excellent choice to add style and pizzazz to your home. Combining a classy silver pearl finish and posh styling, the Veranda 9-Light Silver Pearl Incandescent Chandelier from Filament Design is a perfect way to highlight your home decor. The unique, sparkling crystal design offers a lush, upscale charm that is ideal for dressing up a dining room, living room or entryway. This distinguished fixture provides the classic look of a chandelier yet with a timeless, transitional touch that enhances any modern decor style. Concord 3 Light Ceiling Black Copper Incandescent Chandelier with a Frosted Crystal Glass The cornerstone of the Concord Collection is quality, and this incandescent chandelier is no exception. Combining a classic black copper finish and posh styling, you will find no better way to highlight the charm of your home. With the superb craftsmanship and affordable price this fixture is sure to tastefully indulge your extravagant side.